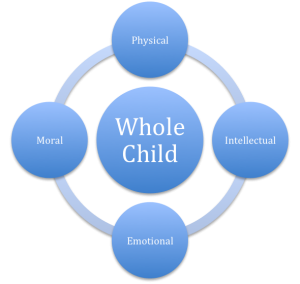 balanced, intellectualy asserttive, morally sensible children,” (Parenting from the Tree of Life Part 2 and Childwise). The moral capacity provides the foundation on which the remaining three capacities will be built, therefore, that foundation must be firmly established. Ultimately, one of the first principles of moral training consists of a child learning that “other people matter” … some refer to this as the “Golden Rule: Do to others what you would have them do to you.” We use the phrase, “the preciousness of others.” This principle is found repeatedly within scripture: Matt 7:12; Luke 6:31; Romans 13:10; Galatians 5:14 and James 2:8 to list a few. Making it Practical – Let’s start at the very beginning! 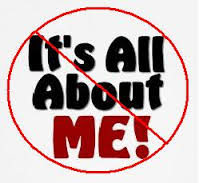 How do we begin the moral training of our child and teach him to understand that life includes others and is not “all about me,” when that concept runs so contrary to our very nature and our culture? It truly starts with Mom and Dad’s worldview before a little one arrives in their home and their understanding of the important precept of training, a foundation laid in Preparation for Parenting and On Becoming Babywise. Training begins with having a basic daily routine, which provides one of the key aspects in preparing the moral building block. By the time an infant reaches his first birthday, he begins to sense there are others in this world that interact with him. While he lacks maturity and understanding, there is an early perception that the big people in his life respond to him in various ways and care for one another as well. Words such as “wait,” “be patient,” and “self-control” are spoken. His life is being ordered by predictability and boundaries. Predictability comes through a routine for feedings, play and sleep. Boundaries come via a crib, playpen, stroller, or high chair where he is required to remain because Mom or Dad has placed him there. By his first birthday, parents begin to develop their child’s moral capacity while simultaneously adding to the intellectual, physical and emotional capacities. Think about it, without the basic routine and the boundaries it provides, then anything a parent does in trying to formulate the intellectual, emotional or physical capacities is limited and, at best, is hit or miss. Our next CMC will consider how routine and boundaries flow from the developing world of an infant and toddler to elementary through teen years. Knowing that as we begin well, we want to continue on the same path that will nurture our children spiritually, intellectually, physically & emotionally in a style that is balanced and harmonic.